Mechanism Generator, Mechanism Generator FG, and Mechanism Generator Suspension: solutions to help you design linkage systems. MechGen 3.0 begins with a 3R chain and five task positions in SolidWorks and presents a variety of six-bar linkages to provide this movement. It then generates the solid model of the linkage you select. See it in action at Mechanism Generator 3.0. MechGen FG is an iPad/iPhone application that helps you design a four-bar linkage that connects the rotation of an input crank to the coordinated rotation of an output crank. MechGen FG 2.0 allows the user to specify five rotation input-output angles and the function it will follow. See it in action at Mechanism Generator FG 2.0. MechGen Suspension is an iPad application that helps you design a four-bar linkage for a double wishbone suspension design. 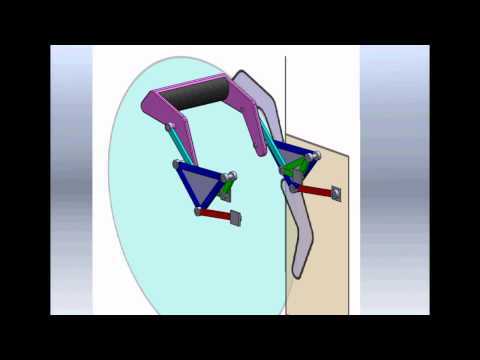 MechGen Suspension 1.1 allows the user to specify five camber angles, five wheel positions, and the lower A arm for the suspension. Video will be available shortly. Should I use a four-bar or six-bar linkage? 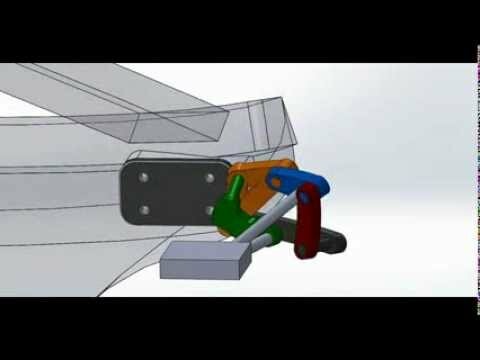 How do I design the suspension for my FSAE race car? Just send us a sketch of the movement you would like with the constraint that are important to you and give us a chance to see what we can do. We can create custom software that provides the linkage design and analysis that you need for your specialized application. 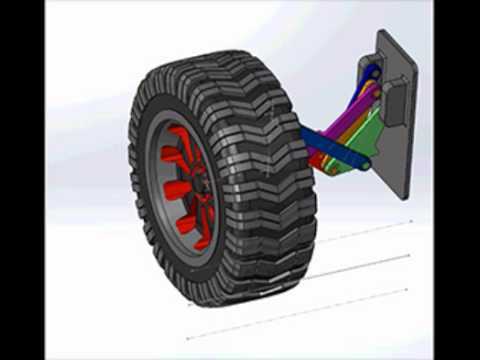 We can prepare a detailed SolidWorks drawing of linkage designs that meet your needs. Our software can compute the correct travel and camber gain for your vehicle. We can also create a custom Mathematica notebook that will help you make these calculations. We can also develop SolidWorks drawings of design candidates to meet your requirements.